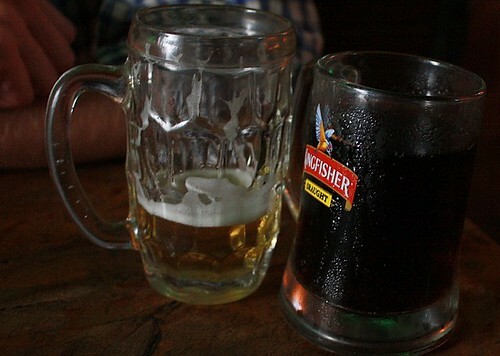 Beer, Kingfisher and De Pepsi, originally uploaded by amulya. Someone pissed me off enough today to deliberately put up a picture of alcohol. Why is there all this perception about women and how they should be? Blah. Anyway, pepsi in kingfisher and the kingfisher in... well, a beer mug :-) Peaceful weekend, if not happy.